Cruising has changed massively the last few years, what was once the ideal holiday for older generations has fast become an option for all ages and to keep up with the demand ships are getting bigger, better and more magnificent. Royal Caribbean's Independence of the Seas has recently come back from an incredible refit so I grabbed my pass and hopped onboard to discover the 154 tonne cruise ship while she was docked in Southampton. 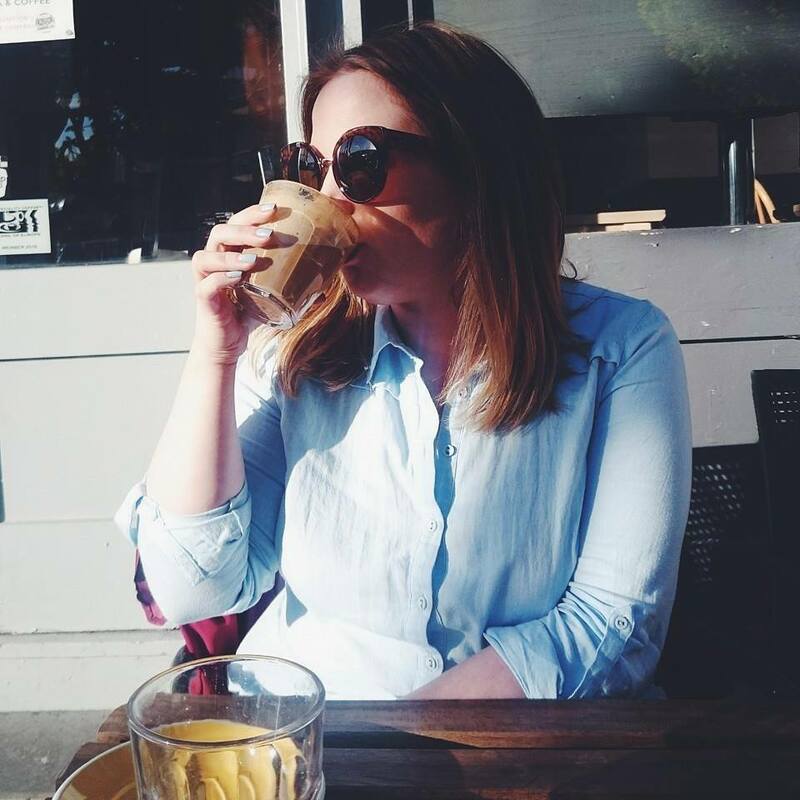 We had glorious weather, clear blue skies and temperatures pushing the thirties it was as if we were already on holiday. It was just a shame we had to get off. 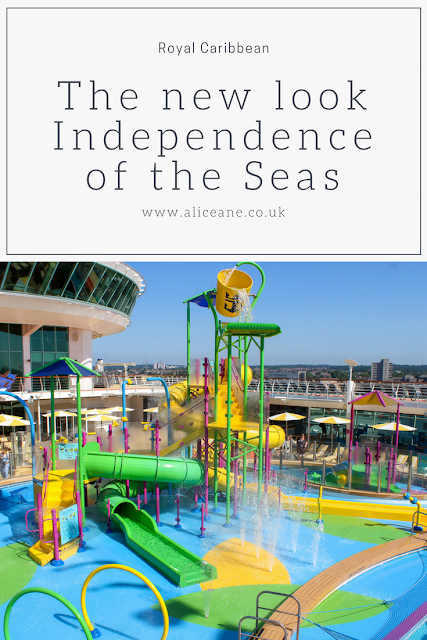 Independence of the Seas has just returned from a multi-million pound makeover so there is so much to get excited about onboard one of Royal Caribbean's most loved ships. 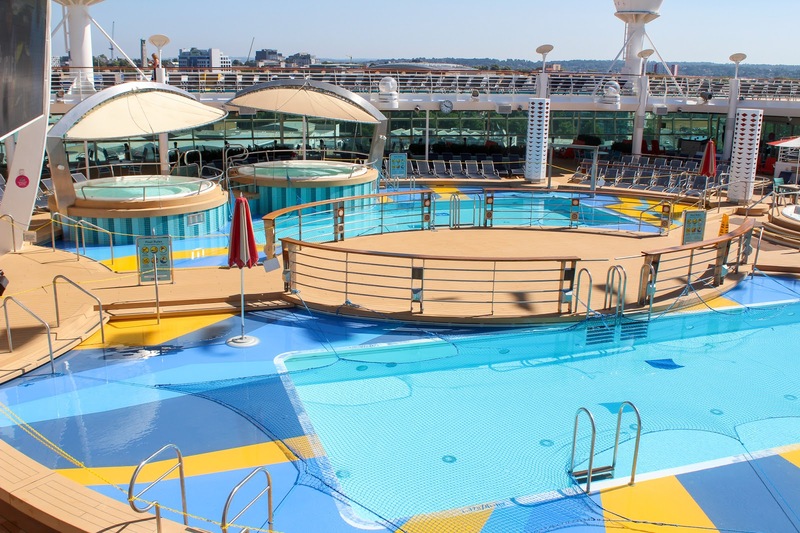 The ship already boasts an ice rink, swimming pools and sports courts so the new features make the ship all the more special. 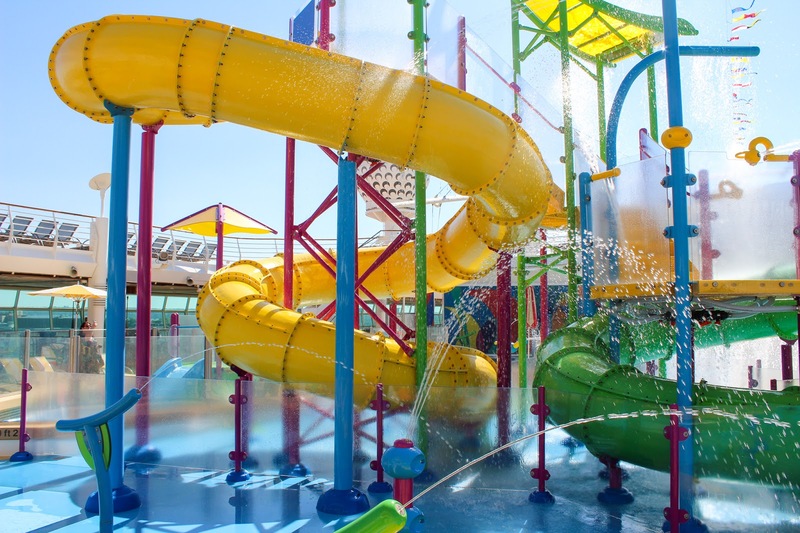 Find incredible new swimming areas, waterslides, escape rooms and so much more. 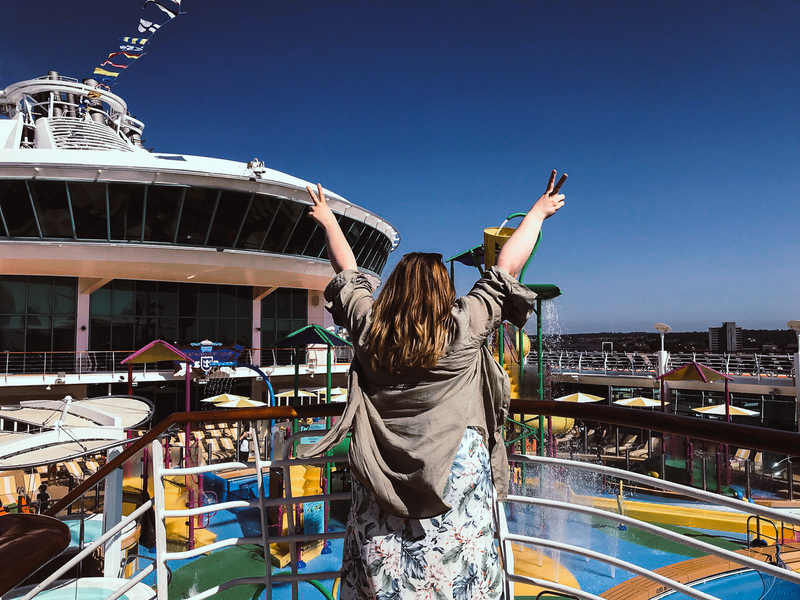 You'd be hard pressed to not find something to do and it doesn't matter the age, there is something for everyone so your cruise is so much more than a holiday, it's an unforgettable experience. The ideal place for tiny people! 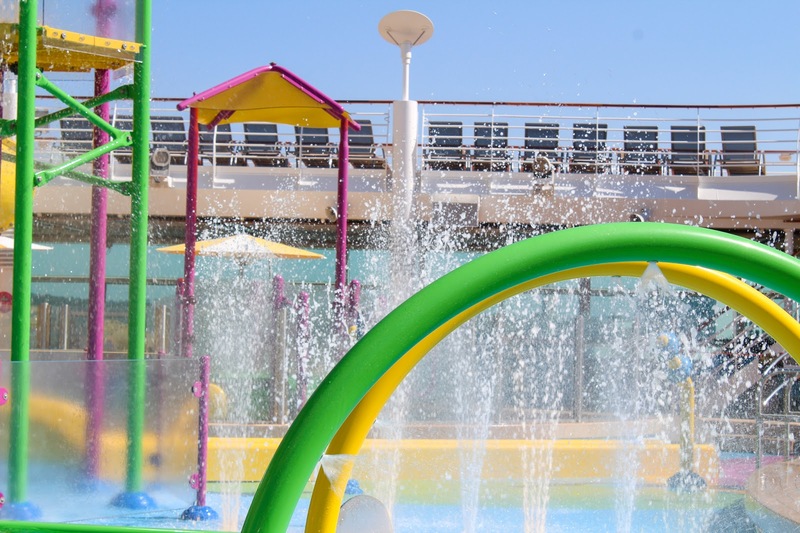 From little slides, baby pools and water cannons and so much more, you'll have a hard time pulling your little ones away. If you're feeling a little more daring, why not try out Perfect Storm. 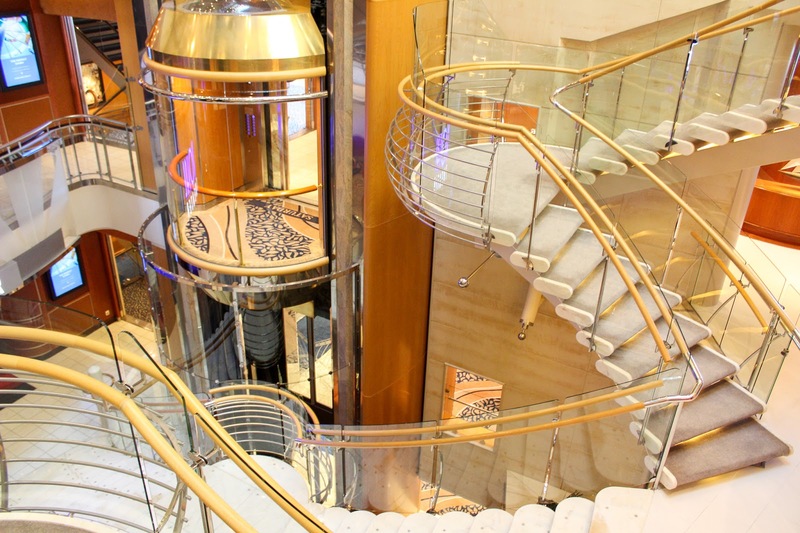 It's three stories high so grab your sea legs because you might need them for this one. 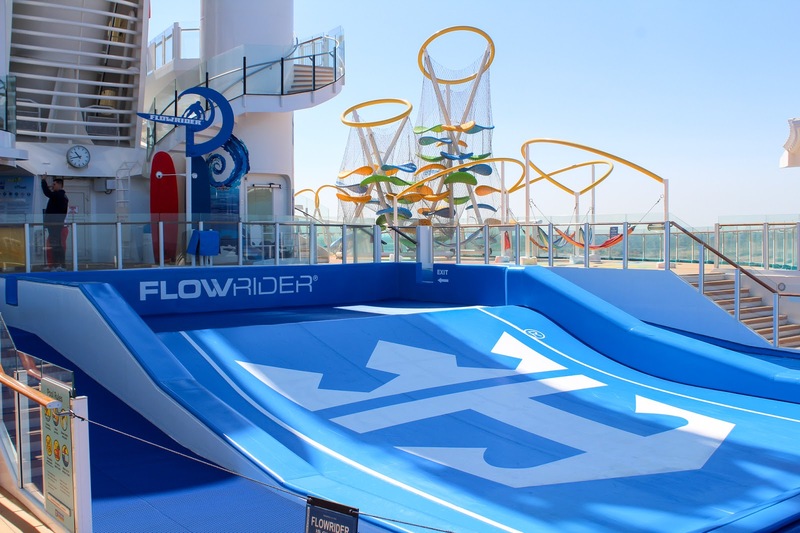 The waterslides feature twists, turns and see through panels so you get incredible views as you're whizzing past. The 40 foot long surf simulator will have you up there with the best of them before you know it. 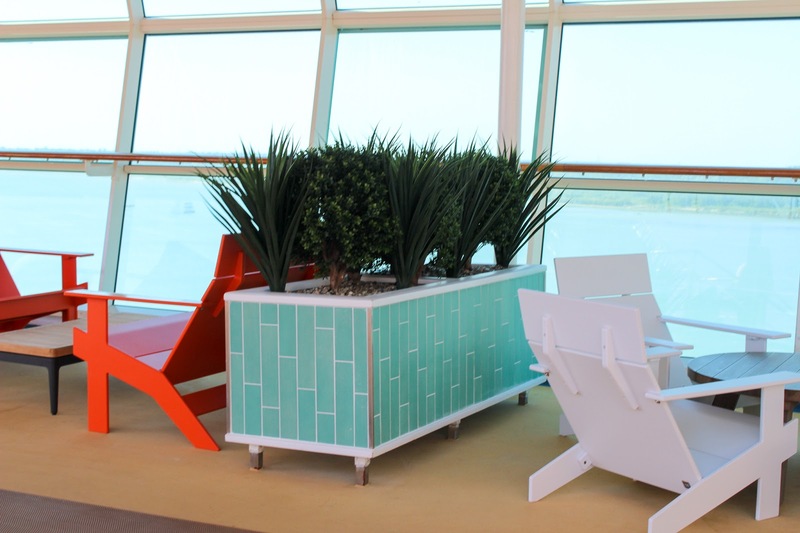 With views out to the back of the ship, it'll be like you're riding those waves for real. The brand new bungee trampoline helps you reach for the stars and soar into the sky. You can even use a virtual reality headset to take you to a completely different world. Take a break from the norm and venture into the code cracking world of escape rooms. Set the clock and give your brain a work out in The Observatorium and get out before the time runs out. How good is laser tag? Go head to head in a glow in the dark game of laser tag and lead your way to victory in the battle for Planet Z. And that's just the top decks! Once you've explored all you can outside, it's time to explore inside. If I was sailing myself, I'd probably take the stairs to each deck so I could take advantage of all the wonderful restaurants onboard but on this occasion we took the lift from deck 15 to deck 4 where we walked out into the most jaw dropping deck. 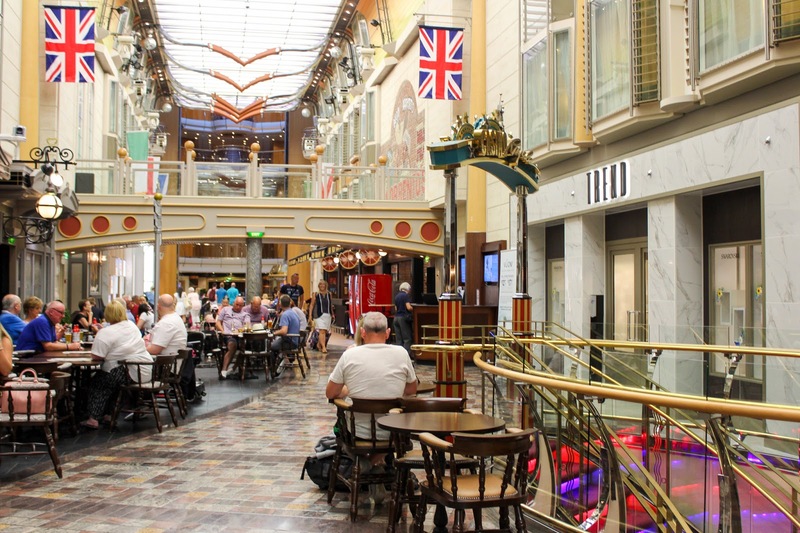 The Royal Promenade is like something I can't describe, a high street of shops in the centre of the ship. It was big, it was grand and it was the last thing I was expecting to come across inside a cruise ship, it was unbelievable. We walked through numerous shops, bars and restaurants before coming to The Royal Theatre, bars and saloons as well as an arcade and casino. There really is something for everyone! 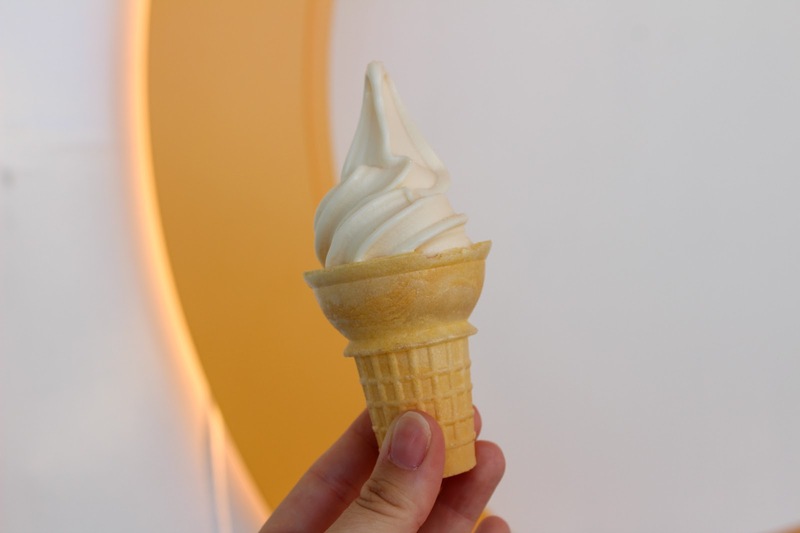 One of the main things I've always wondered about on cruise ships is food. I'm a massive foodie at heart so having a variety to choose from onboard is important. 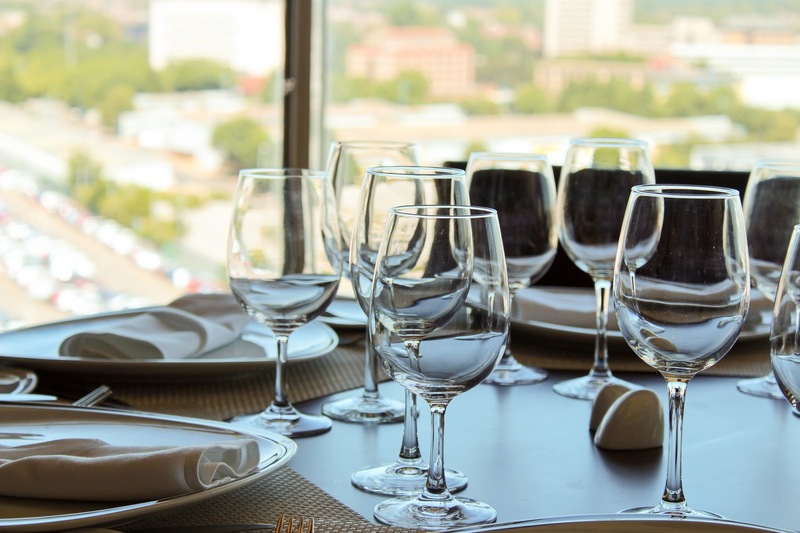 Independence of the Seas has a set of complimentary restaurants which are included within your cruise package as well as more speciality restaurants where you can pay to eat at a very reasonable price or a set price per person. 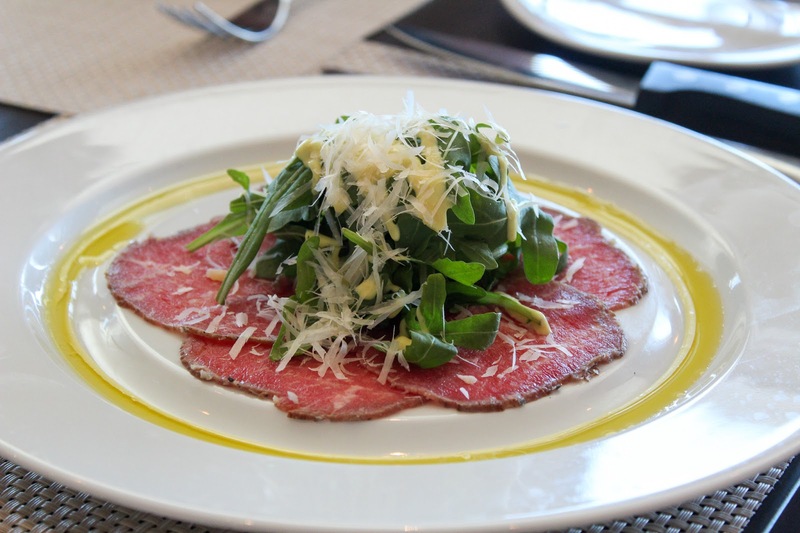 We ate at Chops Grille while on Indy which serves up dry aged steaks alongside fresh seafood, a variety of sides and delicious desserts. The steak we tried was cooked beautifully but they were so big there was no room for dessert! After lunch, we set off to enjoy the sun around the pools which was ideal as the temperatures were soaring. We grabbed an ice cream and headed to the adult only section so I could take full advantage of my baby free day. I love that the ship has so much to do for children but both Arran and I really value our alone time so an adult only section is where you would find us. 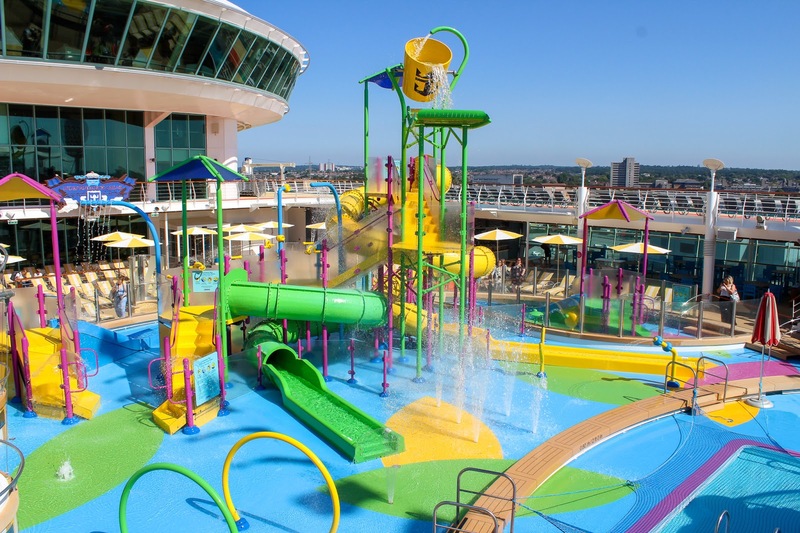 Have you sailed on Royal Caribbean before? What was your favourite part? AAAAH WOW it looks amazing!! I want to go! AJ would love all the pools and the water fun, and I would love a week just to chill, it looks incredible! I've never seen the appeal of cruise ships but you've completely changed my mind with this post. The cruise ship looks incredible! It looks incredible. I really want to go on a cruise now and I was never really bothered before. It’s amazing what they have onboard. 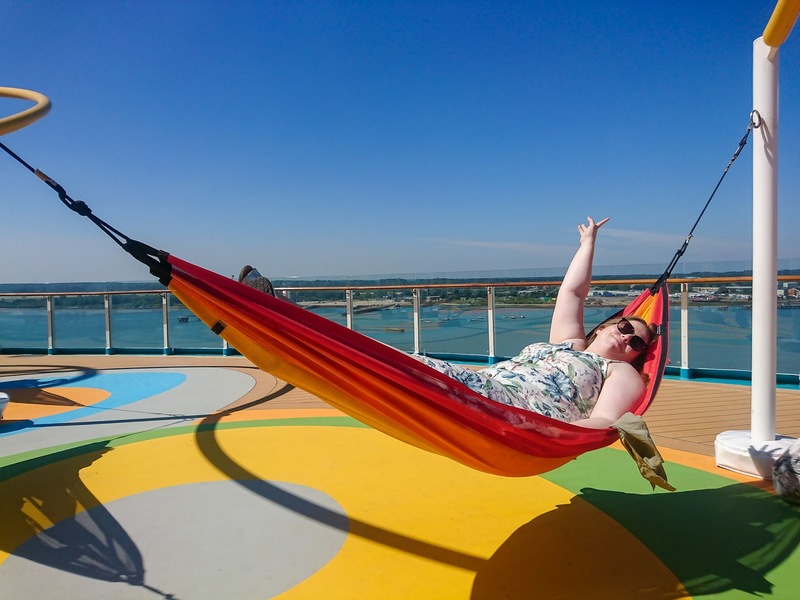 You should totes have a cruise series and call it the Suite Life of Alice Spake - i've been on one of those flo riders before and they are hilarious! Ahoy there, it's crazy how much they can fit on a boat. How does that thing stay afloat! oh wow this is insane - i've only been on a cruise ship once and it was NOTHING like this - this is insane! My sister in law always used to go on royal Caribbean cruises and RAVE about them! I went on a carnival one years ago and hated it hahah cabin fever hit me hard! It baffles me that all of that is on a ship! It's insane! I've never cruised and I still can't get my head round that all this is on a boat! Crazy!